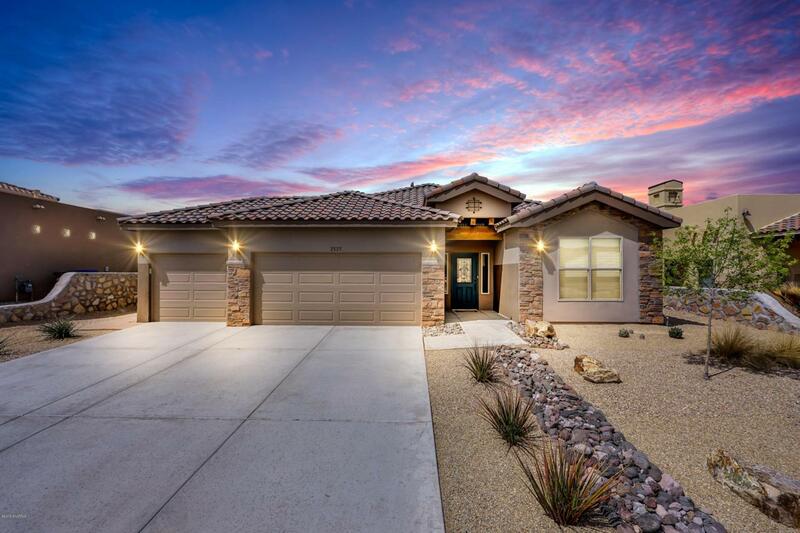 Beautiful Home in Sonoma Ranch! This well-kept HOME includes 4 bedrooms, 2 bathrooms, and a finished 3 car garage. This immaculate Home screams pride of ownership! The open concept is perfect for entertainment and makes the Home feel very spacious & inviting. The oversized granite island, dark cabinets, and stainless steel appliances come together to create the perfect kitchen. In addition, the Home offers the desirable split-bedroom plan. The master bedroom has private access to the covered porch. The master bathroom has granite counter tops, double sinks, tub, walk-in shower, and a large walk-in closet. This Home was constructed by a well-known builder, adding the Platinum energy package with 2x6 construction, tankless water heater, efficient furnace, dual pane Low-E vinyl windows, and insulated garage doors. Please schedule your showing today because this Home will not last long! Listing provided courtesy of Jorge A Vazquez of Exit Realty Horizons: (575) 532-5678. All listing information was provided by Southern New Mexico Multiple Listing Service.